These are some of the products I spotted at the 2009 Kitchen/Bath Industry Show that I thought fellow KitchAnn Style readers would enjoy. As I always check this blog for the latest and greatest, it was an honor and a challenge looking for new things that would interest KAS readers. 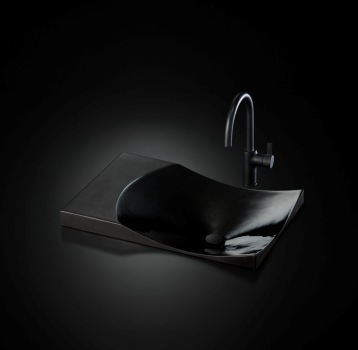 Toto can always be counted on for great product introductions, and this year was no exception. My favorite releases were the Luminist series of resin lavs that could be lit from below with LEDs or even fluorescents. 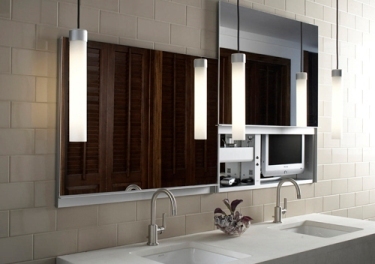 Your lav could be illuminated with colored – even changing lights – for a dramatic powder room or master bath. (Night lights never looked this good!) Another Toto favorite of mine was the Waza Noir. Not only is it sculpturally beautiful, its finish is as smooth and touchable as velvet. 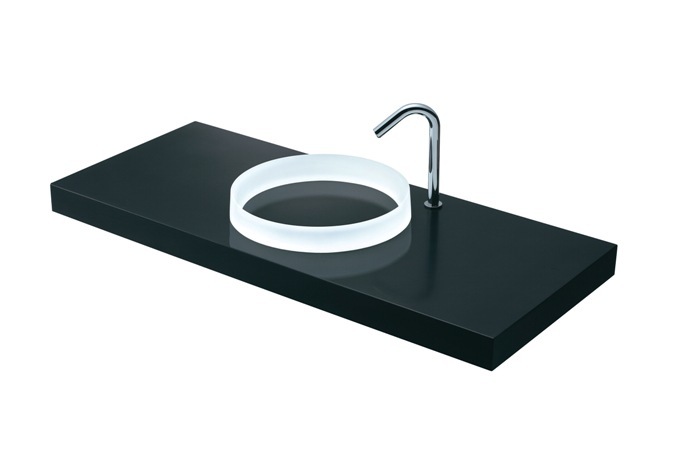 Kohler has redefined the white fixture. And the results are soft, matte and elegant. Its new Honed White lavs and toilets feature a gentler-toned finish that lends itself beautifully to spa style baths. Rather than the traditional, glossy paper look, Honed White looks like Haagen Dazs vanilla bean ice cream. 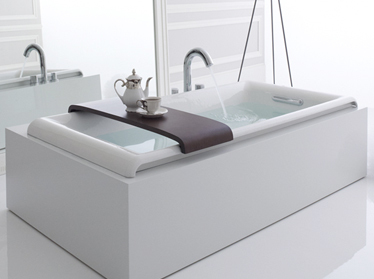 KitchAnn Style readers may particularly enjoy the new Reve contemporary bath suites in this luscious new finish. 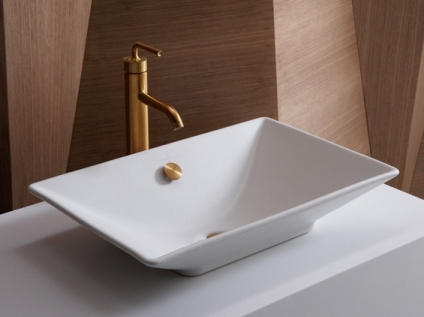 Kohler also reintroduced gold to the designer’s palette with its Vibrant Moderne Brushed Gold. It’s got a polished companion, too, but I think the softer brushed works best in these hard-edged times. I was also taken by Kohler’s new Parity bath, which features a richly-stained transfer seat. While this wooden perch makes it easier for someone to get in and out of the tub, it also makes it easier to keep bath goodies at hand, or even add candlelight to your bath. Many of the top appliance manufacturers stayed home this year. Two, however, brought their A Game. 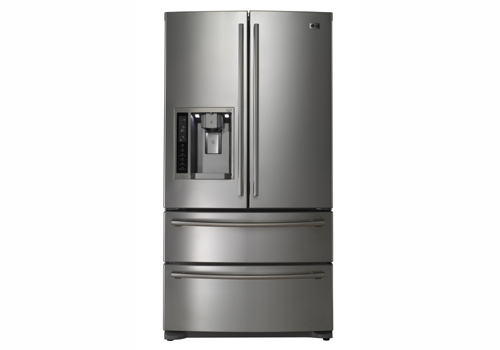 LG introduced a new double drawer French door fridge with automation. If you’ve ever wished for a third hand, this may be the appliance for you. A control panel on the front of the fridge makes it easy to open the freezer drawers without bending or tugging. Bosch is also making it easier to work in the kitchen. 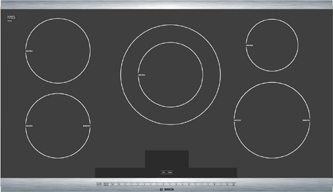 Its new AutoChef Induction Cooktop includes pre-sets for frequently-made foods. I’ve been a big proponent of induction, and I know Ann is a fan of this energy-saving technology, too. One hesitation clients have had is that they’re very comfortable cooking with electric or gas and aren’t sure how to adjust their recipes for induction. This is a good solution, and a pretty sleek cooktop, too. Robern has brought a touch of technology to the medicine cabinet. Its new Uplift series can hold a flat-screen TV, along with your standard bath fare. Its sleek design incorporates a door that slides upwards, creating a range of new design options. Design enthusiasts know that great hardware can update your home in a heartbeat. 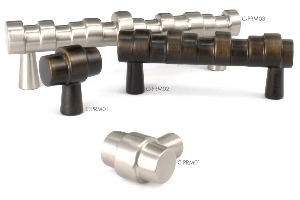 If they’re fans of the world-renowned Clodagh, they might be interested to know that Du Verre has released two new lines of cabinet hardware the famed interior designer created just for them. One is called Primitive. The other is Stacked. Both are fun, quirky and unique, and will definitely update any room they show up in. 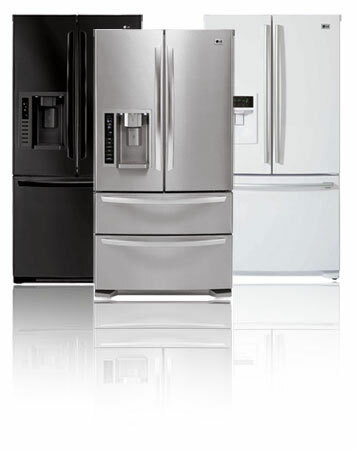 The U.S. Department of Energy has announced that some LG and Kenmore refrigerators are no longer part of the federal government’s Energy Star program because of concerns over the energy use by these models. In September LG’s French Door fridges were tested and showed an energy usage 100% higher than the energy use promised on the fridge’s DOE Yellow Card. It was reported that LG had programmed its refrigerator controllers to be able to identify DOE test conditions so that certain electrical functions are shut down when those conditions are met. When the 90F ambient test condition was met the auto-defrost shuts down, saving lots of power, and lowering their Energy Star test result. The official report states that LG rated the refrigerators on the basis of a standard test procedure that has been widely used for nearly 30 years. LG said it didn’t take into account different applications of the testing rules for newer technologies used in the latest energy-efficient products. Specifically, DOE said LG didn’t set the refrigerators’ temperature-controllable compartments to their coldest levels, a requirement for energy-usage measurements. The LG LFX25950, LFX25960, LFX25971, LFX23961, LFX21960, LFX21971, LFX21980, LFX25980, LMX21981, and LMX25981 models, as well as Kenmore Trio refrigerators designed and made by LG with model numbers starting with 795 and through-the-door ice and water dispensers, are affected by LG’s agreement with the DOE. The DOE and LG reached an agreement outlining how LG will compensate consumer who purchased one of these models before November 14, 2008. LG is providing a three-part offer for consumers who have purchased these models. This will involve both modifying your refrigerator and providing cash payments for the additional energy usage for the useful life of the refrigerator – up to 14 years. In cooperation with its retailers, LG will attempt to contact all previous purchasers of the affected units to arrange the in-home modification and the payments. Consumers who purchased the affected models can also register to participate in the program and get more information by mail or by calling a special hotline (1-888-848-1266) or on-line at http://www.LGrefrigeratoroffer.com. ENERGY STAR® is a joint DOE-EPA program, formed in 1992 as a voluntary, market-based partnership that seeks to reduce air pollution through increased energy efficiency. DOE and EPA work to offer businesses and consumers energy-efficient solutions to save energy and money, while also helping to protect our environment. More than 12,000 organizations have joined ENERGY STAR® as partners committed to improving the energy efficiency of products, homes and businesses. The ENERGY STAR® label appears on more than 40 kinds of consumer products.